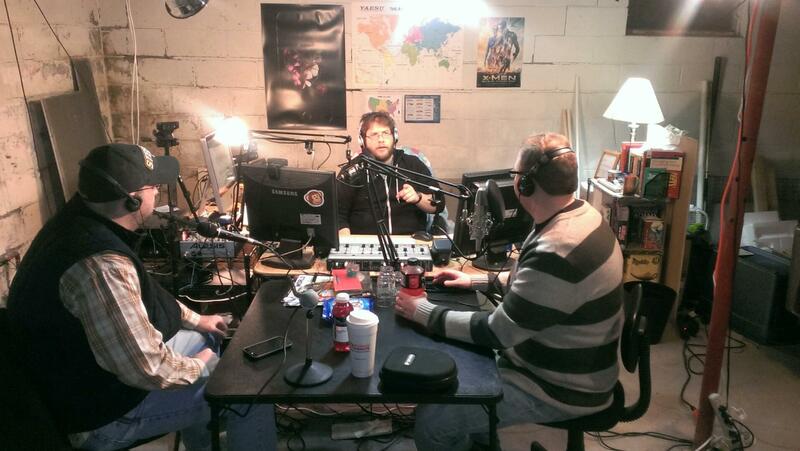 We finally dug ourselves out of the snow and were able to record a new show for your enjoyment! And we got the often seen, but hardly heard, Scottie Blaine on the show! It’s a Blizzard of 2015 miracle! So it was a full house, as Monte, BJ, Scottie and myself all piled into the studio and talked about all this “fantastic” snow we have gotten over the past couple months. If you’re a skier, you must be going out of your mind for all this stuff. But if you’re like us, you’re wondering where are we going to put all this crap to keep it out of the way. And when is enough, enough? We also talked about some fond memories as kids when we got a lot of snow, and what we used to do out in it. As normal, healthy, American boys, let’s just say we’re all lucky to be alive and leave it at that. But make sure to listen to hear some of the weird stuff we did. Plus, BJ brought a little treat to the studio. A package of the new Oreo Red Velvet Cake cookies, which we taste tested. Make you you listen to get our unfiltered reactions to it. And check out the photo gallery of some of the pics that we took during the recording of the show. On a technical note, you will notice some hits to the audio quality. It appears there is some work to be done in the studio to accommodate more than 3 of us. Rest assured I am working on solutions to this and apologise for the lack of quality in the audio of this show. Posted on February 16, 2015, in Podcasts and tagged Blizzard, Cookies, Northeast, Oreos, Red Velvet Cake, snow. Bookmark the permalink. 1 Comment.